Your data is powerful. 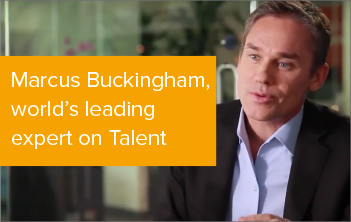 It can help you attract and engage the best professionals. 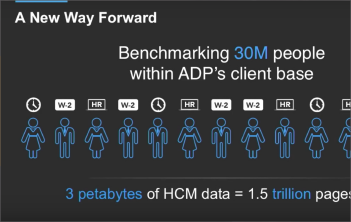 Compare yourself with the industry, anticipate trends and give your employees a unique working experience with complete and accurate data, comprehensive analytics and benchmarking from ADP. 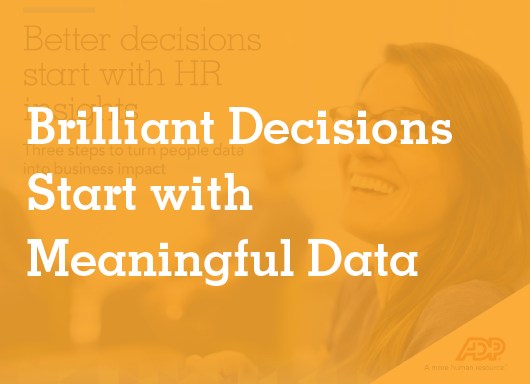 Engage your employees during their most meaningful career moments. 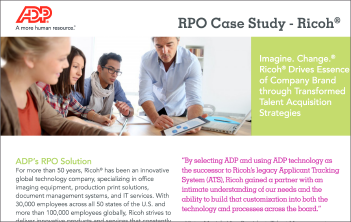 ADP’s combined RPO and HR technology solution gives Ricoh positive business impact across the board. Read the case study.